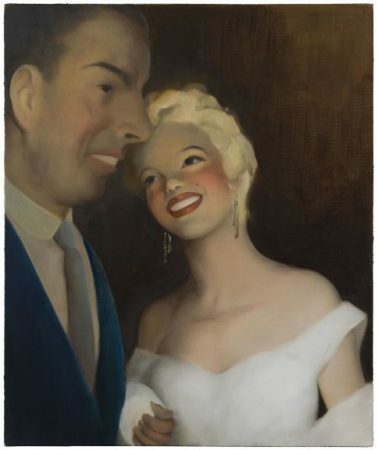 Chinese artist Chen Ke has mapped the different stages of Marilyn’s life in her debut gallery show, ‘Dream-Dew’, at Hong Kong’s Galerie Perrotin until June 25, Samuel Spencer reports for BlouinArtInfo. 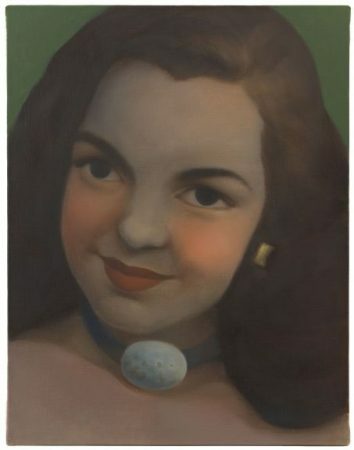 “Whereas previous artists have focused on Monroe as an image or icon of a certain era of Hollywood glamour, Chen’s paintings focus on Monroe as person, a woman with hopes, history, and dreams. 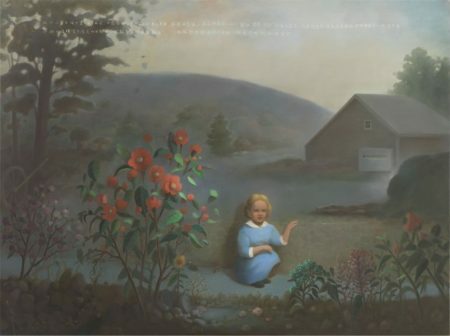 For example, in ‘1932 Los Angeles 6 Years Old,’ 2016, Chen shows a young Monroe in the flower garden of a house straight out of an early 20th century American landscape painting. 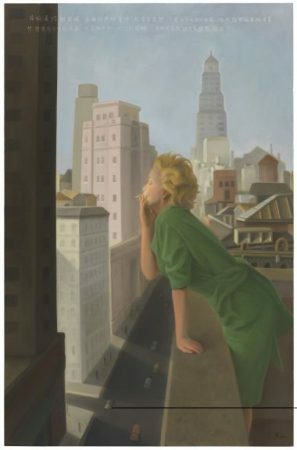 The image is put into question, however, by Monroe’s shadow, which seems to suggest she is posing against a backdrop rather than a real landscape, and by the fact the image is totally removed from the reality of 1930s America, with young Monroe’s blonde hair and clean blue dress at odds with our images of the Great Depression.